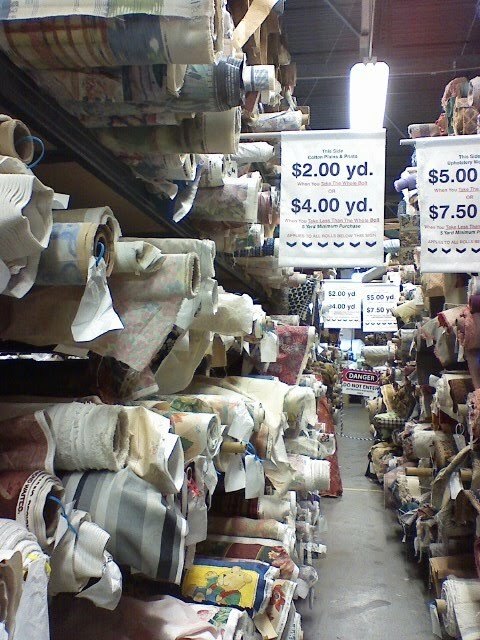 This past weekend I ventured out to find these elusive fabric stores I had been hearing so much about. Freddy Farkel Fabric Showplace and Zimmans are known in the area to be great places to search for fabric and often times discounted fabrics. I only made it to Freddy Farkels because of the time, but I am so mad at myself that I didn't get there earlier. It is seriously so close to my house! When you walk in you see the large bolts hanging floor to ceiling of the newer fabric, all arranged by color and type. It was fun to walk through and pick out some of my favorites and imagine what I would do with them. 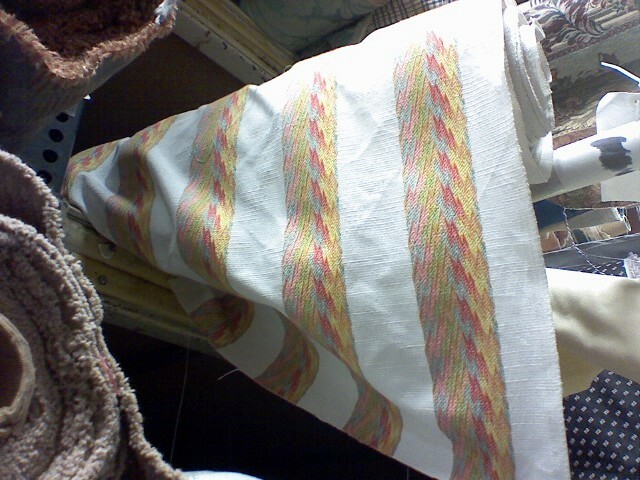 Loved this red and orange striped fabric. I thought about buying some to make fall pillows- it would be fun to have a huge closet of pillows at my house that I could switch out the look of my family room or bedroom at a moments notice. I fell head over heels for this crewel fabric! The colors were so bright and beautiful, I have no place for it in my house but I wanted to take home the bolt just in case I needed it for a future project. Cute bold graphic fabric- I picture using this in a young boys room. The green and blue are hip and would make a pre-teen feel cool. 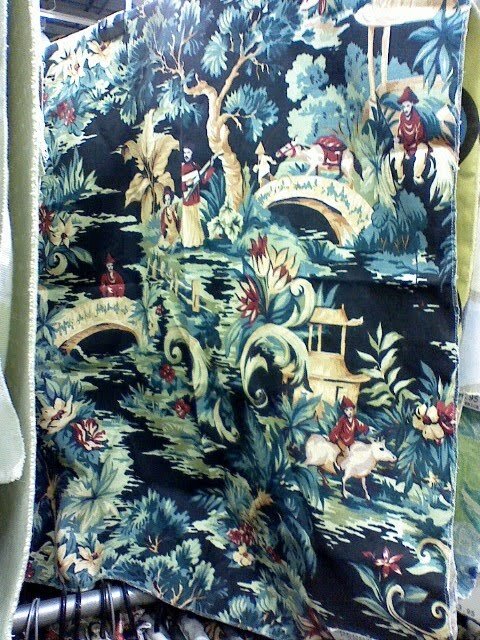 I had this fabric in my hand to buy- there is something about the colors and the story it tells that I just needed to have. I had to have a little chat with myself that I didn't need it and if I ever did I could come back and buy some. Do you ever have those kind of talks with yourself? Can't go wrong with a linen animal print with just a hint of blue- sorry the picture is blurry. I thought this fabric looked familiar and loved the colors in it. I came home and realized it was the same fabric that Camila used for her office! 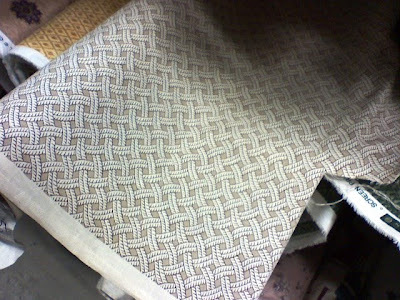 I liked the basket weave pattern on this one, but it was too creamy yellow and not enough white for my bedroom...which was the whole reason I was there in the first place. It was hard to keep reminding myself of that with everything around me. I dont know what it was about this faux deer fur stuff, but I could not stop rubbing my hands all over it because it was so soft. I think it would look great made into two large pillows on my bed or couch- what do you think? Then I walked around the corner and saw the mother load! $2 & $5 a yard!! It was like I was having an out of body experience. 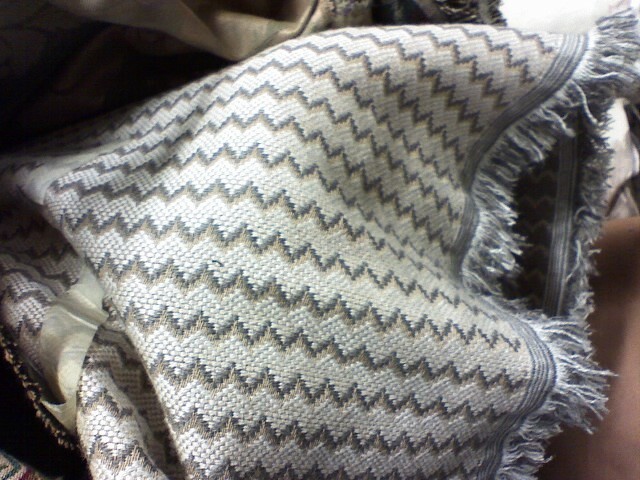 This one was great quality, even with a pretty fringe edge. I wanted to take home a few yards to make a throw blanket, but there were over 30 yards on the bolt and in order to get the good deal you have to buy the whole bolt. Sad for me, but not for the person who scores this amazing deal. The ONLY orange fabric in the whole store. Disappointing, but their stock is always changing so you better believe I will be going back. This fabric that stopped me in my tracks. 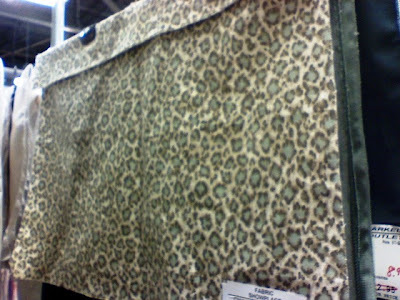 I seriously stood in the aisle for about 20 minutes debating if I should buy this bolt of 35 yards. All I kept picturing was a beautiful little girls nursery (for a friend, NOT me) with floor to ceiling curtains made from this fabric. While the rest of the room was filled with the pinks, oranges, greens and blues that were pulled from the fabric. I didnt pick out the exact details yet because all I could picture was standing there looking at these stunning curtains I made up in my head. Sick much? 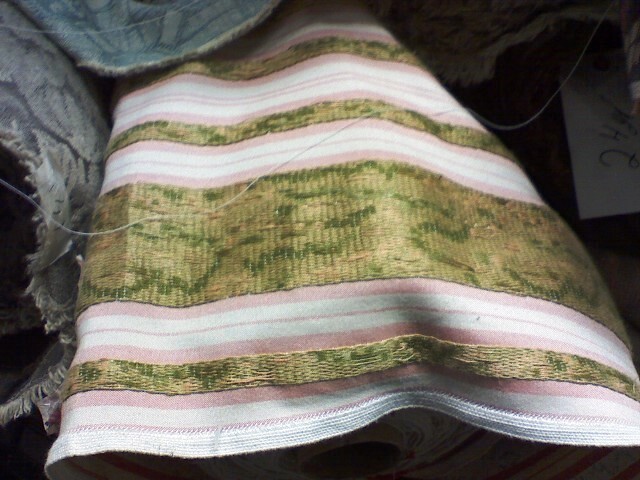 Love this pink and green fabric- I picture it paired in a room with pink gingham, and a soft green toile as the accent fabrics. Along with creamy white furniture and gold accessories. 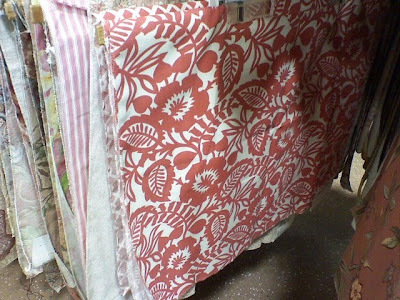 I did end up getting a very lovely fabric, but its for the bedroom makeover so you will have to wait to see it. If you are ever in the area I suggest checking out this place- you never know what deals will be waiting for you as the clearance aisle is always changing. Too much fun! I love fabric...I would have bought a bunch with no idea where to put it right away. 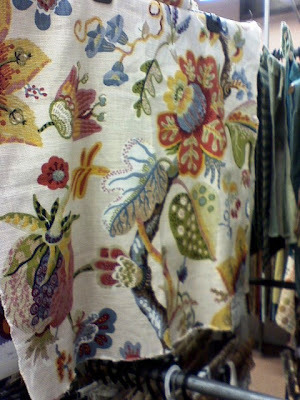 LOVE that crewel fabric you found too! ahhhh isn't fabric the best? I could just play with it all day long. And a closet full of pillows sounds amazing!!! That place looks fantastic. It's a done deal, I must go soon. I can't wait to see what you bought! thanks....i never heard of these spots but i'm definitely going to visit! This place looks awesome. 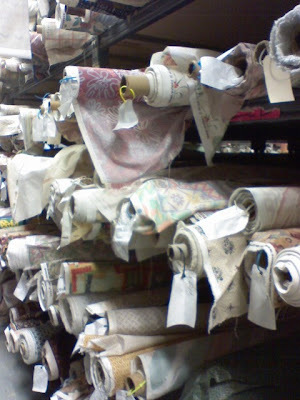 I have been looking for a large warehouse fabric store in area, something with lots of choices - I will definitely have to visit soon! Fabric stores are my new favorite place. 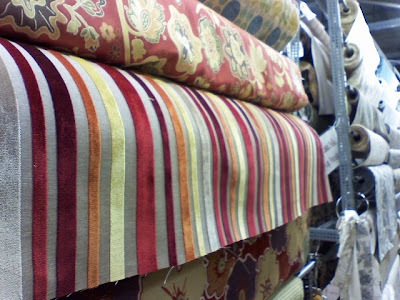 That first striped fabric is amazing, it would make beautiful fall pillows! How fun! I would be terrible at narrowing down all the wonderful choices! Oh wow....I could see how I could get very overwhelmed in that place.....but the prices and selection would be worth it. Thanks for sharing. 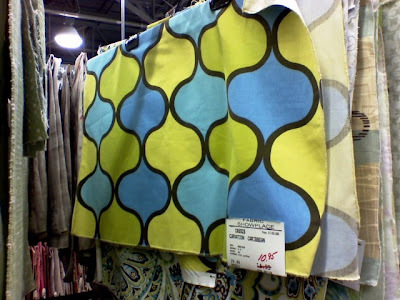 Fabric stores overwhelm and thrill me all at the same time! I love the images of the two florals you found. So much fabric!! I could probably spend hours in there and love every minute of it! Oh my so much- I would be overwhelmed lol. Can't wait to see what you chose! You are taking a trip back with me ASAP! Love, love, love the crewel fabric!! I am drooling all over my keyboard. Can you believe I don't live within HOURS of a freakin' fabric store?! Jealousy has set in. I would have not blamed you one bit if you came home with crewel fabric that you did not need:-) Fabric stores are my weakness. I heard about Freddy Farkels on an old episode of "Chronicle", and then forgot about it. Now, I sense a field trip coming on. Thanks for sharing the great pics! Oh, I want to go! i am going fabric shopping next weekend!! i can't wait and will be doing the same thing, and that is taking tons of pics. 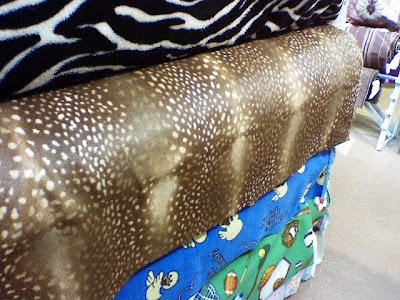 the deer fabric is cool. i say yes to the pillows but i can also see it on a chair cushion. very luxe looking. Eek, drool. Look at all the wonderful choices! 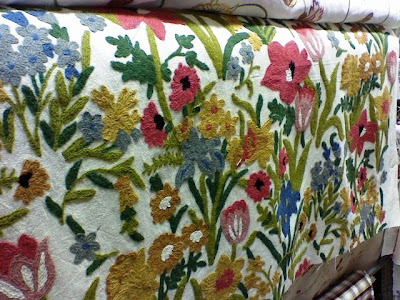 I am lusting for the crewel fabric. So many beautiful choices. i saw that striped fabric this weekend in blues and greys and it is fab! OMG! I just found your blog through Lauren's. I just about had a heart attack. 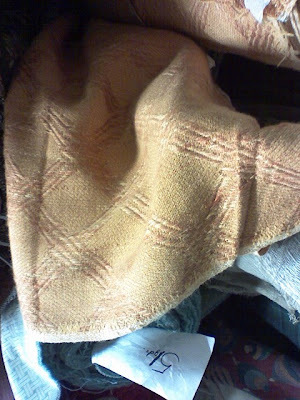 This post was like watching a thriller for me (a fellow fabric lover and new chair upholsterer). As I turned the corner to see the mother load $2-$5 room I jumped out of my seat. I had to go to your profile to find out where you live. AMAZING, but too far of a road trip for me. Your chair looks fantastic! You're brave to do stripes.